Skycoin looks like a dead project on the charts, however, it has been in development since 2012. It was rewritten multiple times from scratch until the team had developed an extendable, future-proof foundation for Skycoin. The founders of Skycoin include Synth, Steve, and some early Bitcoin and Ethereum developers who left to correct the flaws with the first and second-generation cryptocurrencies. Synth comes from an educational and work background in the field of distributed systems, mathematics, and symbolic logic. Houwu Chen, one of Ethereum’s creators and a Ph.D. from the Tsinghua University, created the Obelisk protocol. Steve Leonard is credited with writing a majority of Skycoin’s original software. He has developed several e-commerce backbends prior to Skycoin. In an Oct 2018 Article, Skycoin was ranked the #1 2019 blockchain company to keep an eye on in an article by forbes.com out of 13 including Energi token and CoolbitX [hardware wallet]. *BUT WE DO NOT KNOW 10 OF THE COMPANIES IN THE LIST. * It was also ranked top 5 in a Huffington Post Article. Skycoin is trying to decentralize the internet with Skywire which is the networking protocol and a physical MESH network. Skywire is currently running on public testnet in Phase I. This means all traffic is routing through traditional ISPs and internet infrastructure. The WiFi antennas are currently in development, and when they are released, people will start putting them on their roof and running a cable down to their Skyminer. This will allow Skywire to exist as a MESH network, running wirelessly and completely independent from the current internet (Phase II). It is hoped antennas will be in production by the end of the year. The amount of bandwidth that the Wifi antennas can transmit will max out the current Skyminer nodes maximum processing capability 100mbps, so if you have an 8 node Skyminer you should be able to get close to 1gigabit/s of completely encrypted internet for a fraction of the cost of your current plan – location and antenna density depending. In the future, once a neighborhood or area has an active Skywire network, running the app on your phone will allow you to connect instantly without any password and since its fully encrypted there is no risk of a man in the middle attack. Skycoin has it’s own dedicated miner called Skyminer. They also have an upcoming hardware wallet called Skywallet. 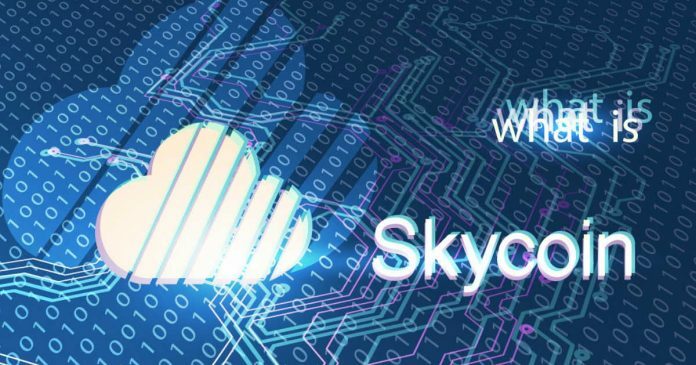 Skyfiber is a tokenization platform and enterprise blockchain solution that offers a plug and play solution using sidechains on Skycoin network for developers and programmers to build their projects on. There is a very resourceful website for all FUD related questions regarding Skycoin and another for technological updates that should be enough to answer most questions you have on the project.